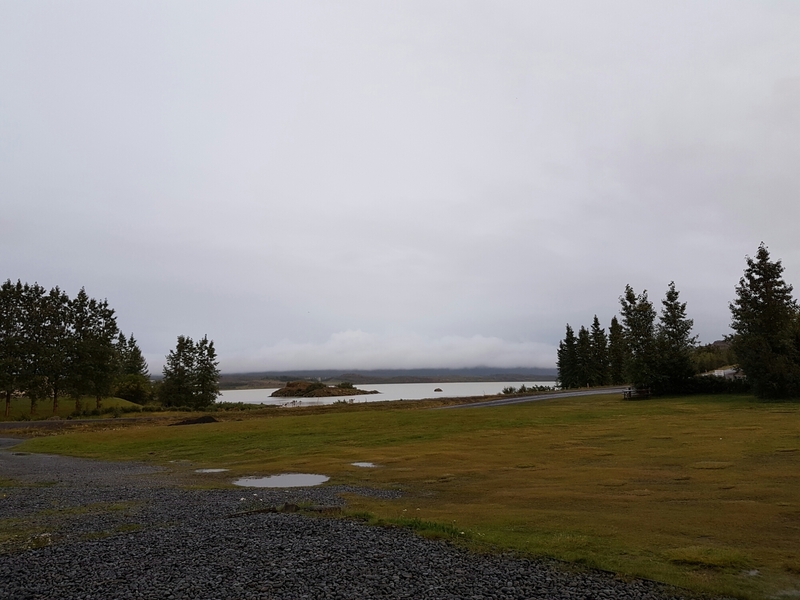 We got up fairly early hoping to complete one of the hiking trails around the glacier, but it was really raining bad… Forecast had it to keep like that until midday and with min 5h driving ahead of us we simply could not afford waiting. That’s the real downtime on trying to complete the ring road in under a week. Reality is that any of the places we spent a night at deserves deeper, at least couple nights exploration. 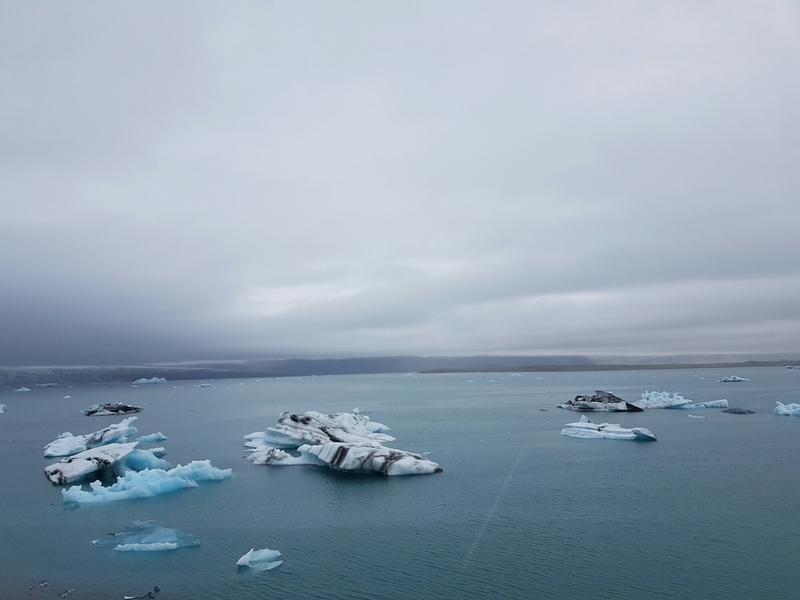 We headed east then towards the iceberg lagoon knowing that we are really leaving behind great place. We did briefly stopped few km down the road and followed a dirt road for 2km, then jump over some hills to the edge of the glacier to see it up close, but it was nothing comparing to a proper hike. The rain followed us but it didn’t stop us from jumping out of the car one more time at the place walk where the ice cap meets the water. As with everything here picture can’t do justice to the sights… Just got your see it for yourself. We kept driving east and the the road would start taking us north by the magnificent east fjords. I’ve swapped driving with Monika and took a uncontrolled powernap on the back seat. It was still raining, which actually added to the views. Huge rock formations, countless waterfalls. The girls got all the photos, but again no photos can show the beauty of the scenery. We got off route 1 and picked the coastal road, in search for some puffins (funny looking birds with big orange beaks). There are colonies in few areas were passing by, but no luck… We did stop in some villages (and by one lighthouse) and found an old french cemetery. 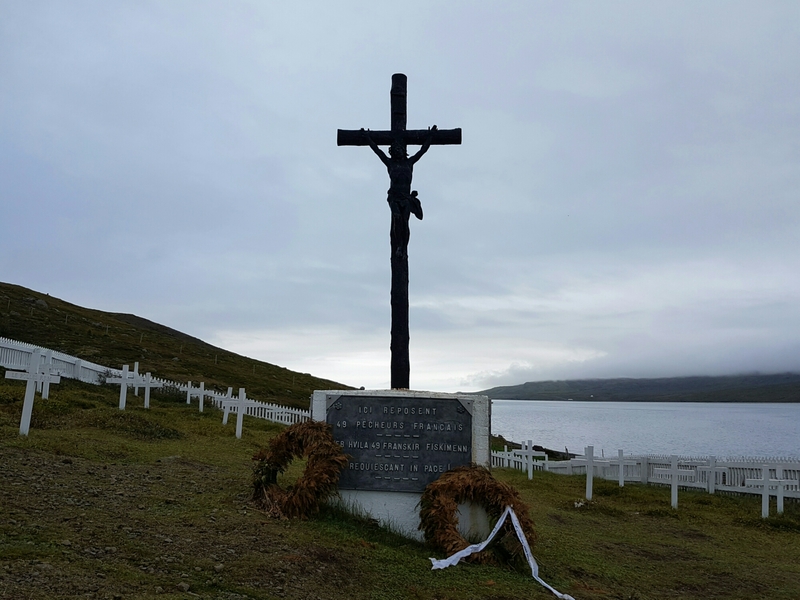 A burial place of the original french seaman founders of this patrticular village with yet another unpronounceable name (although all official street names at this place were written both in French and Iclenadic. It was definetly one of those places where tourist don’t go. And it makes it so much more special. By that point we are so far away from Reykjavik that say tour buses dont come here anyway. And its a good thing. We can also definetly see it by the count of campers in the local campsite. The place we are staying at tonight, Fellabær hosta 1 other tent and 1 campervan, while yesterdays site was a home to couple hundred. Its a really nice place as well, clean facilities, good view. Last minute find actually (the original site was in the midle of town, this has much more natural vibe).